Boundary Waters is a quiet, secluded haven for a relaxing getaway amidst the peace and stunning beauty of Lake Chatuge in Hiawassee, Georgia. 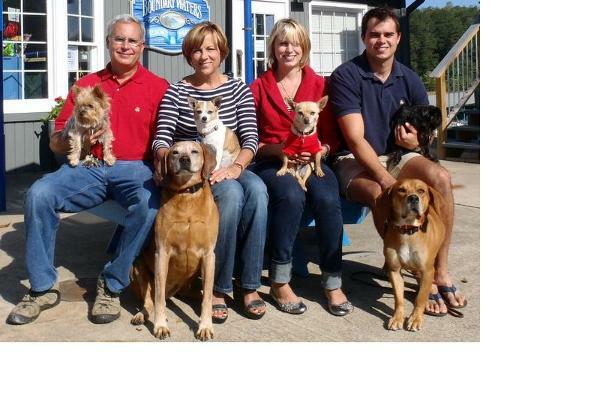 We have the perfect accommodations for a family vacation, a romantic getaway, or a day of boating pleasure. 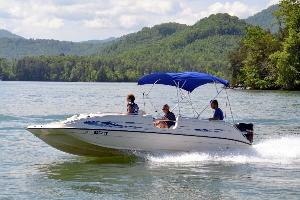 Enjoy a leisurely cruise on beautiful Lake Chatuge aboard one of our JC TriToon pontoon boats. Pull into a quiet cove for a picnic and swim, or try your hand at fishing. Enjoy a day of watersports on one of our deluxe ski boats, deck boats, or new wakeboard boat. We also offer jet skis and CraigCat power catamarans. 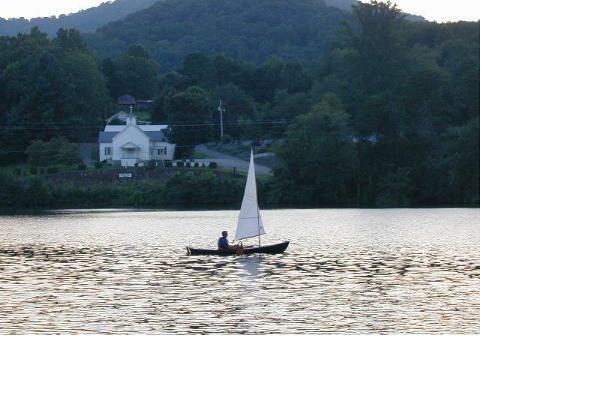 For a little exercise, try our canoes, kayaks, or pedal boats, which are complimentary to our lodging guests. 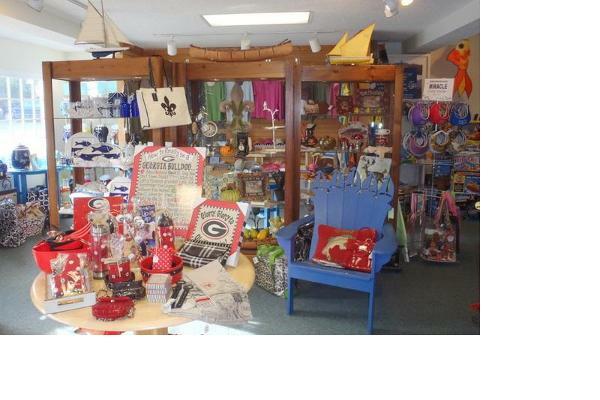 Don't forget to stop by the Blue Canoe gift shop - we feature Lakegirl and Life is Good clothing, unique fashion and home accessories, Georgia Bulldog gear, and of course, watersports equipment so you can enjoy your time on the lake. Our 22' JC TriToon Pontoon Boats are an excellent choice for a day of cruising and relaxation with a soft ride and a fuel-efficient engine. Our 24' JC Sport Pontoons feature a 150hp fuel-efficient 4-stroke engine with a high-performance TriToon Sport hull for improved speed and handling. Its great for a day of cruising or pulling a tube. New for the 2017 season, come try our brand new Axis A22 Wakeboard Boat! The A22 sends up wakes and waves that are undeniably mammoth for a 22-footer. Our 22' JC Sport Pontoons feature a 140hp fuel-efficient 4-stroke engine with a high-performance TriToon Sport hull for improved speed and handling. Its great for a day of cruising or pulling a tube. The 21' Key West Deck Boat has a soft ride, open seating, and plenty of power for a full day of watersports. Our 20' Chaparral Ski Boat is well-equipped for cruising with speed or a full day of watersports. 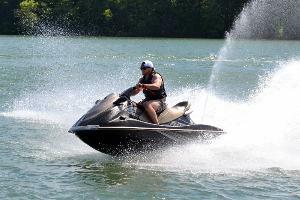 Our jet ski rental fleet features Yamaha VX Cruiser and VX Deluxe Waverunners. 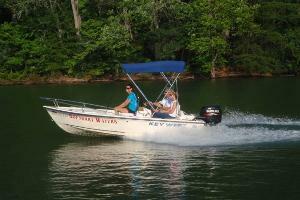 Our 15" Boston Whaler is an excellent choice for fishing or an afternoon of cruising Lake Chatuge. Featuring a 70hp fuel-injected 4-stroke engine, bimini, color depth/fish finder, cooler, bow sundeck, and seating for 4. 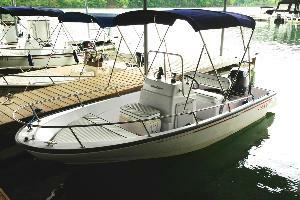 Our 16' Key West Runabout is an excellent choice for fishing or an afternoon of cruising Lake Chatuge. 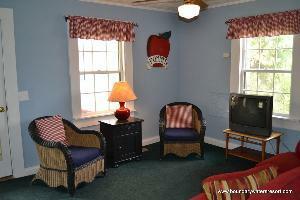 Charming 3 bedroom cottage on the water with private dock, full kitchen, and 3 queen beds. 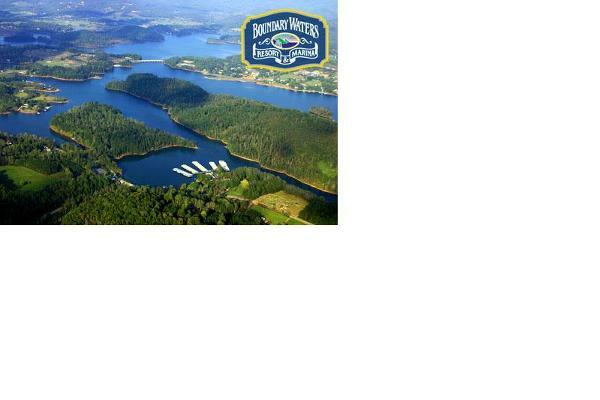 Beautiful views of our secluded cove and the surrounding national forest. Lakeside guest room with queen bed and queen sleeper sofa. 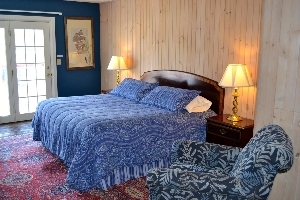 Deluxe lakeside suite with large deck and lake view. This unit features a full kitchen, king bed, and 2 queen sleeper sofas. Can be connected to #1 and #4. Cozy lakeside room with deck and lake view. Queen bed. 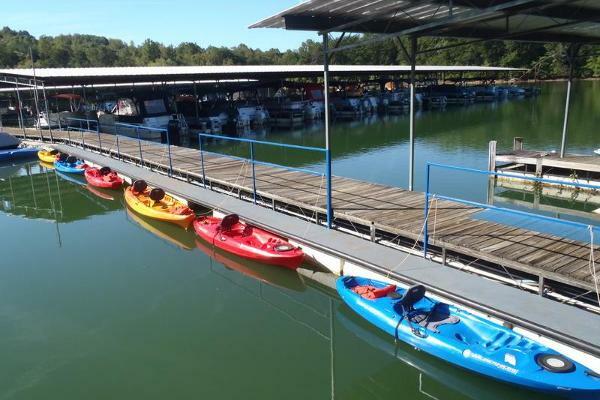 Free dockage for your private boat and complimentary canoes, kayaks, and pedal boats. 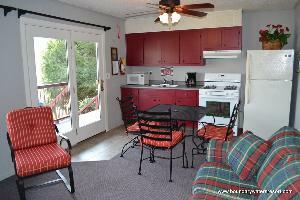 Lakeside deluxe suite with lower level balcony view overlooking our secluded cove and surrounding national forest. 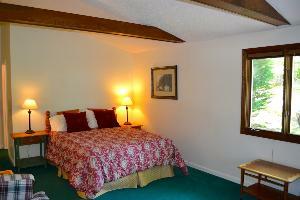 Suite includes full kitchen, living room with queen sleeper sofa, and bedroom with queen bed. 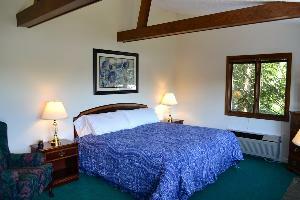 Lakeside deluxe suite with upper level balcony view overlooking our secluded cove and surrounding national forest. 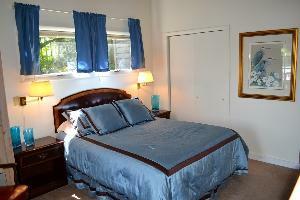 Suite includes full kitchen, living room with queen sleeper sofa, and bedroom with queen bed. 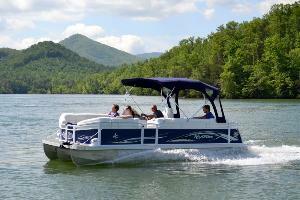 Enjoy a leisurely cruise on beautiful Lake Chatuge aboard one of our JC TriToon pontoon boats. 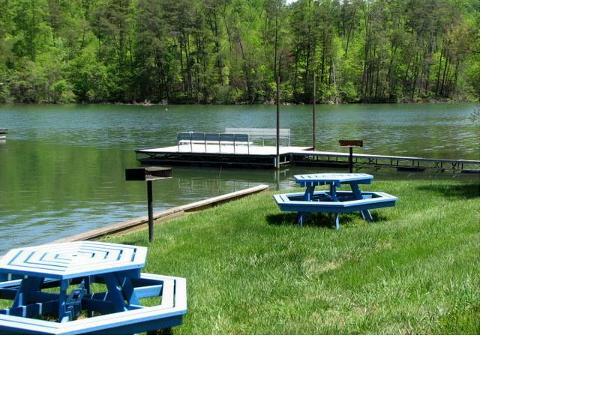 Pull into a quiet cove for a picnic and swim, or try your hand at fishing. Enjoy a day of watersports on one of our deluxe ski boats, deck boats, or new wakeboard boat. We also offer jet skis and CraigCat power catamarans. For a little exercise, try our canoes, or kayaks which are complimentary to our lodging guests. 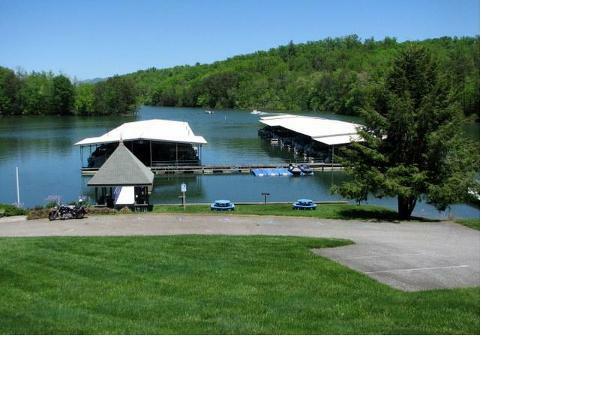 Hike the nearby Appalachian Trail, go whitewater rafting or fishing, enjoy nearby shopping, unique restaurants and entertainment - all from the convenience of our lakeside lodging and beautiful Lake Chatuge. Boat Rentals: Must be 21 to operate watercraft. No pets or grills permitted on watercraft. All passengers must board the boat at Boundary Waters in order to sign a liability waiver. Power boats are rented with full gas tanks. Renters pay for fuel used. All boats are equipped with safety equipment. Multi-Day Rentals are charged a $500 deposit after dock location is approved. The deposit will be applied towards fuel consumed or damage, and the deposit balance will be refunded at the end of the rental. Please call our office at 706-896-2530 for more details. Single day non-holiday period rental: If you cancel less than 24 hours before the rental you are responsible for a $100 cancellation fee, and you will receive a $100 boat rental certificate for any future rental. Holidays and Holiday Period Rental: (Memorial Day weekend 5/22/15-5/25/15, 4th of July week 7/3/15-7/5/15, Labor Day weekend 9/4/15-9/7/15) Cancellations less than 48 hours before the rental are responsible for the full rental amount, and will be issued a boat rental certificate for the full amount. Multi-day and Weekly rentals: Multi-day rentals pay a $500 deposit at the time of reservation when the location is approved. 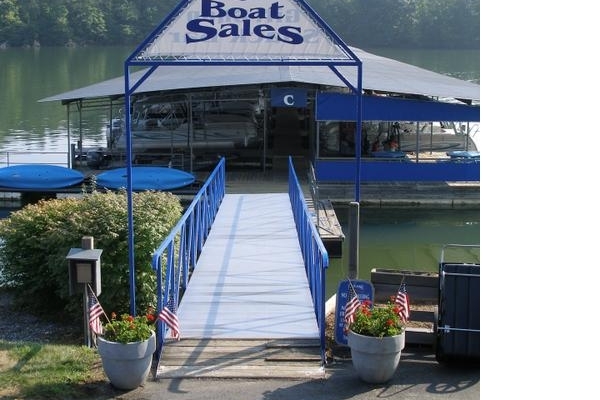 Cancellations less than 7 days before the rental will be issued a $500 boat rental certificate. Lodging: Advance deposit of one night's stay is required for all reservations. For weekly reservations, we require half of the weekly rate. 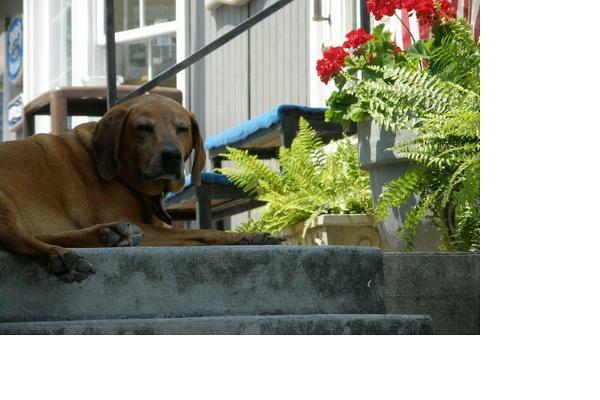 Deposit is applied to total length of stay. Deposit is forfeited in the event of cancellation unless Boundary Waters is given 7 days prior notice. Check-in: 4 pm, Check-out: 11 am. Sorry no pets. All units are non-smoking.